Broadsword Pest Control is a small independent business operating in the North Hampshire, Berkshire and Surrey border’s area. We are able to offer competitive prices for our services. All prices are transparent & inclusive of VAT. The price that you see in our pricing section is the price that you pay. There are no nasty hidden surprises. Our aim is to provide a professional, discreet and friendly service to our customers. We use an unmarked vehicle in the interest of discretion. 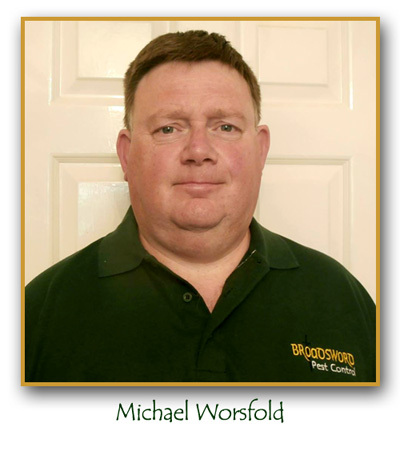 Mike, the owner of Broadsword and qualified pest controller, was born and raised on the Isle of Wight. “The Garden Isle” is where his love for nature and wildlife was developed. When dealing with Rodent control we prefer to employ a non-toxic rodenticide approach to our work, preferring to use traps wherever possible. This a quick and humane method of dealing with this issue. We use toxic baiting (the use of Rodenticides) only as a last resort. Secondary poisoning does have an impact upon our wildlife population, and wherever possible we try and avoid this method of treatment, but will use this when it is necessary. As a result we adhear to the UK Rodenticide Stewardship Regime. We use the most environmentally friendly and up to date pest control techniques for your problem. Thank you for taking the time to look at our website and we hope that this has been of some use to you. It is the policy of Broadsword Pest Control that we do NOT share any personal Information with any other company or third person, without the express permission of the client concerned. We do NOT use Facebook or any other social media sites to publish personal information of any kind from our clients. Any information kept by us is stored on a stand-alone database and is not accessible via the internet.